Laws criminalizing bomb threats and threats of other destructive devices and toxic materials have been on the books for years, but since 9/11 these offenses have been taken much more seriously. The bomb threat law appears in the same section of the Maryland code that governs false statements to police officers, but there are major differences in the maximum penalties for these two offenses. Lying to cop or making a false police report is a misdemeanor with a maximum penalty of 6 months in jail. On the other hand, making a false threat or report about a bomb is a felony with a 10-year maximum prison sentence. This harsh maximum jail term is only part of the sentence for this crime, as the judge can also impose large restitution penalties. The amount of restitution is typically the money that the act cost public and private entities that were forced to deal with threat, which can end up costing tens of thousands of dollars. The government can demand money spent by responding to the threat and searching for the destructive device, and private property owners can make a claim for money lost due to the evacuation of their property. Keep in mind that if the defendant is a minor and has been found delinquent of making a bomb threat in juvenile court, the parents could be on the hook for the restitution payments. The bottom line is that what can start out as a joke or a prank can turn into an extremely serious situation that can affect a person who is charged for life. If you or a loved on is facing a criminal charge for making a false threat contact the criminal defense lawyers at The Herbst Firm immediately for a free consultation. Benjamin Herbst has personally handled these types of cases, and understands what it takes to defend against the accusations. 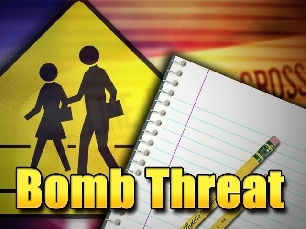 The false bomb threat laws are designed to punish anyone, but more often than not the defendants in these cases are juveniles and young adults. We have seen juveniles and high school age students accused of this offense that have never been in any kind of legal trouble before in their lives, including A and B students. Peer pressure can lead a juvenile or young adult to engage in this type of behavior when they would have never in a million years done so on their own volition. Many younger people simply do not understand the consequences of a simple prank, but they are real, and if not handled properly can affect the defendant for the rest of his or her life. Charges for this offense can be brought in multiple jurisdictions. For example if the threat was conducted by phone the state can bring charges in either the place where the call was made or in the place where the call was received. In certain circumstances the defendant may even face prosecution in two jurisdictions at the same time. There are many ways to defend against a false threat charge, and we would be happy to discuss the specific facts and circumstances regarding your case or your child’s case. To reach us anytime either fill out a contact form on the website or call 410-207-2598.